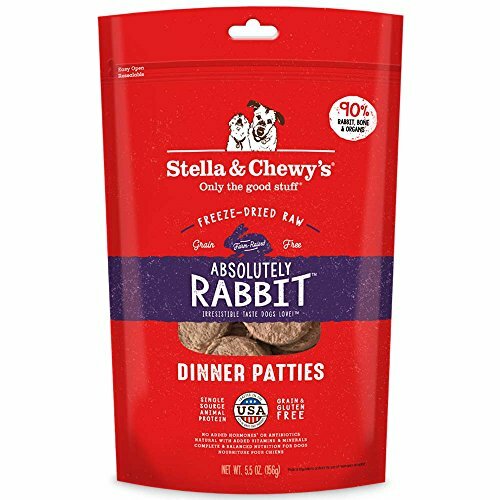 Stella & Chewy's Freeze-Dried Raw Absolutely Rabbit Dinner Patties Dog Food, 15 oz. 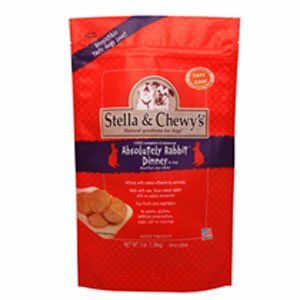 Stella & Chewy's Freeze-Dried Raw Absolutely Rabbit Dinner Patties Dog Food, 5.5 oz. 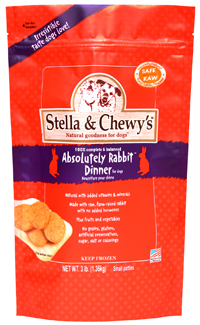 Stella and Chewys Freeze Dried Absolutely Rabbit Dinner Dog food. Delicious dinner that is 100% nutritionally balanced and complete for all life stages. 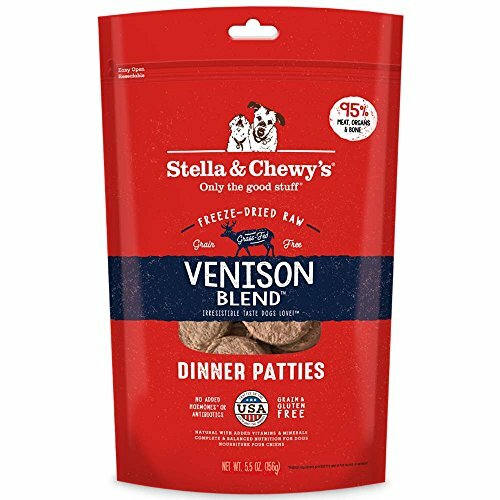 Each patty is freeze-dried to lock in nutrition and flavor. 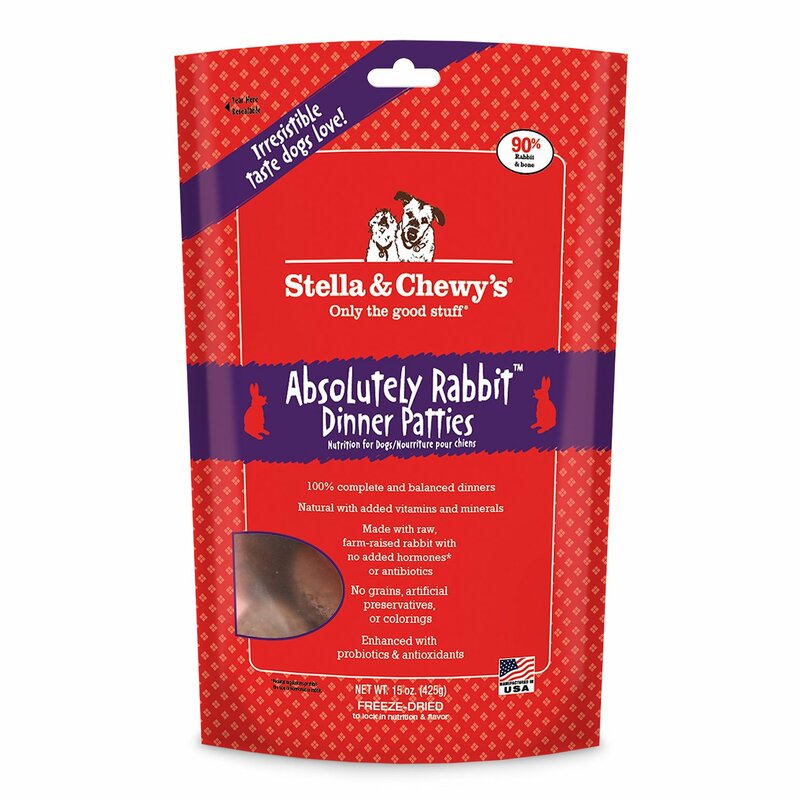 Absolutely Rabbit food is made with raw, natural meat sourced from a USDA-inspected facilities, plus organic fruits and vegetables. 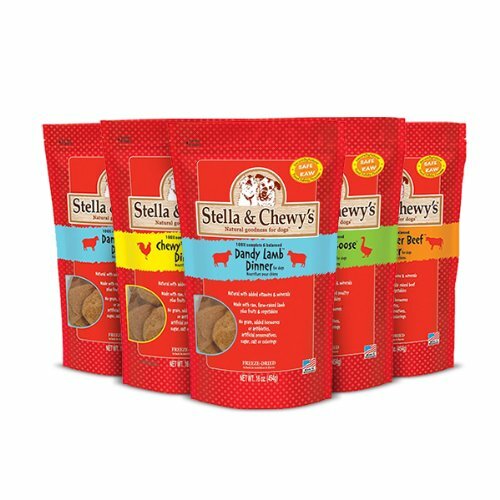 With no added fillers, you can feel good about feeding this to your best friends. Made in the USA Recommended fordogs of all ages. Supports a healthy appetite and digestion. Great for skin and coat. Increases stamina and vitality. Promotes a healthy immune system.